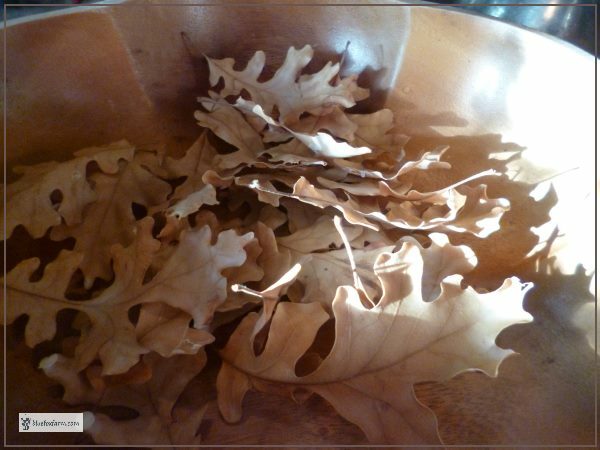 Oak leaves are unique among deciduous trees. They have a really different shape, and it's unmistakable. They take a long time to break down even outdoors, but this is a way to make them last even longer. Scattered on a mantel around a couple of pumpkins or squashes, accented with some pine cones or other seed pods, and you have a wonderful fall display. The fall leaves often used are quick to disintegrate or fade, but here's a way to keep them for longer as an accent or a background for other great fall motifs. 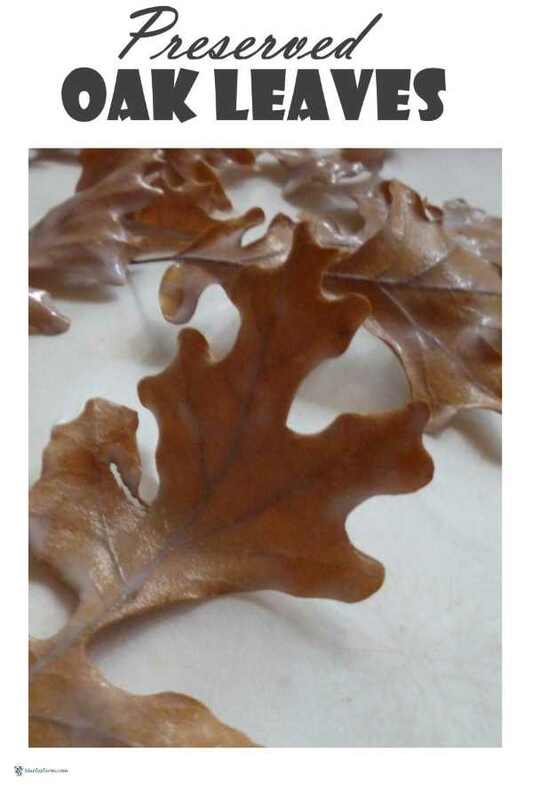 The color of oak leaves is generally a rusty brown. Gradually, they'll fade to a pale tan, with age. I use my favorite Rust-Oleum Varathane Interior Crystal Clear Water-Based Poleurethane, Satin Finish to preserve the leaves and keep them supple. 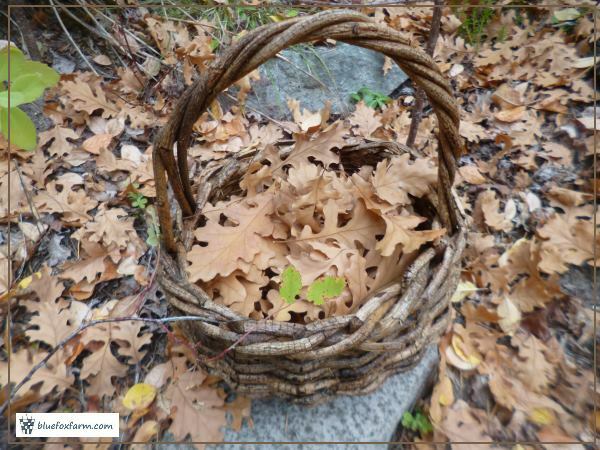 Collect the leaves as they fall, or right off the tree - the best ones are those without any damage. They don't need to be cut off, just gently pulled, and the scar that forms over the end of the leaf prior to falling gives way. I give them two coats of the Varathane to make sure I get all the crannies, and both sides of the leaf. Leave them to dry completely on a piece of parchment paper so they don't stick. You can get parchment paper in almost any dry goods, grocery or even hardware store - but if you can't find any, get it from Amazon . What else are these good for? Attach them to a fall wreath or swag, with other natural items, like acorns, cones from various coniferous trees, or driftwood. Display your collection in a glass jar, like an antique mason jar, so you can see them and they're protected. They could also be added to your pot pourri mix to accent the other flower heads and seeds in it. Other types of leaves can be preserved too - they have to be leathery and unblemished, and totally dry. Maple, aspen, beech or other kinds of oaks are possible candidates, but stay away from the types of leaves that easily break or rot down, such as birch or alder which have thinner and more delicate leaves.